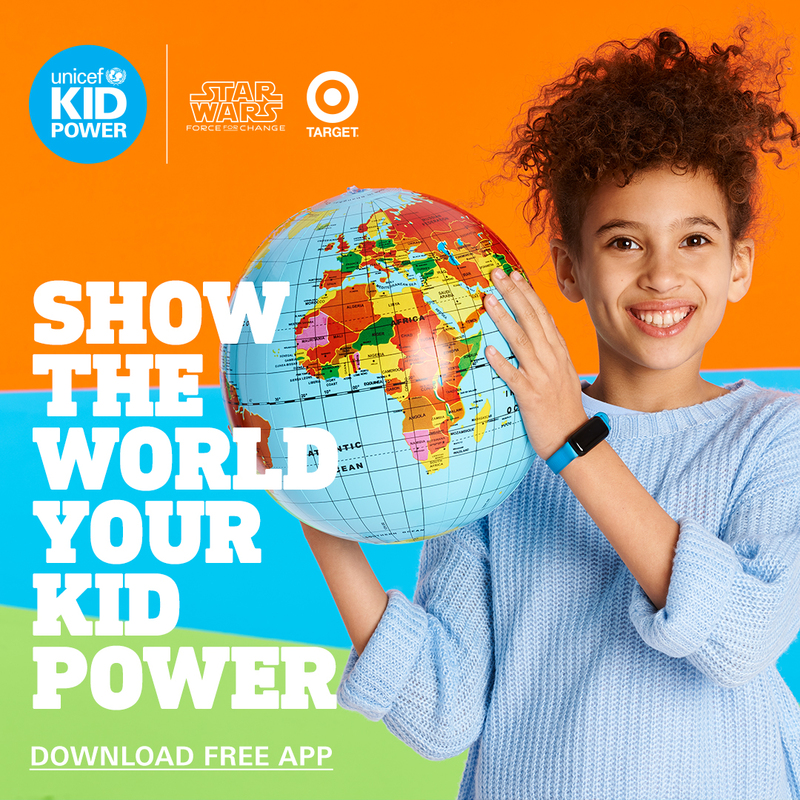 Kids and their families all over the Los Angeles area are invited to get active and save lives in a special UNICEF Kid Power Celebration happening this Saturday, May 13, at LA Live. Featuring a "Star Wars"-themed activity, a Target crazy maze, games and main stage entertainment, the action-packed event will encourage kids to channel their activity into unlocking 1 million Ready-to-Use Therapeutic Food (RUTF) packets for malnourished children around the world. How can you help? First off, join in the free event. Also, to help inspire kids to get out and get active, the UNICEF Kid Power Band ($39.99) tracks kids' activity (something greatly needed, as 1 in 4 American children aren't getting enough), which in turn unlocks funding that goes toward providing necessary RUTF packets to children in severe need around the globe. Similar to a Fibit for kids, the band counts kids' steps, helps children set activity goals and also tells the time. It doesn't require a data plan, and there's no GPS tracking. Just sync it to your smartphone and let your kid run, jump and just play. The UNICEF goal is to unlock 1 million RUTF packets in the month of May. In addition to the activities, special guests will include Dartanyon Crockett, a UNICEF Kid Power champion and two-time Paralympic judo medalist; actors Joshua Rush, Jade Pettyjohn, Talitha Bateman and more. So come on downtown! I bet never has activity felt so good! this. I have also searched some info regarding Baby Care Tips for the parents who don't know how to take care of their newbie born babies. Hope so they will Like it.